Finally, an international stage race on the east coast of the continent! 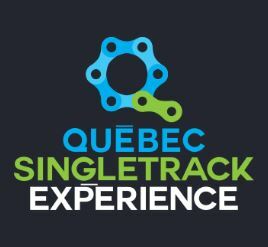 The Québec Singletrack Experience is the long-awaited event in which you will discover incredible mountain-bike trail networks minutes from historical Quebec City, a UNESCO World Heritage treasure. 7 stages, 7 days, 7 exceptional destinations and 1 permanent base camp, in downtown Quebec City, offering the simplest logistics of any stage race. Ride mostly on perfectly constructed and groomed singletracks, with seven timed descents and seven timed ascents as a bonus. Become a Qué-Biker ! The Quebec City region is THE mountain biking destination to discover. The only permanent stage since day one of the UCI Mountain Bike World Cup, Québec City provides a unique variety and quality of singletracks with fantastic scenery. See the Saint Lawrence River from the top of Mont Sainte-Anne, ride along the endless cascades and waterfalls at Vallée Bras-Du-Nord, stay in the only walled city north of Mexico! You are in for a unique singletrack experience. You are a Qué-Biker! Build mostly for local riders, the base package offers great value for those who can manage their logistics. Breakfasts are not included. Daily transfers and bike transportation is assumed by the riders. RATE : STARTING AT 999$.